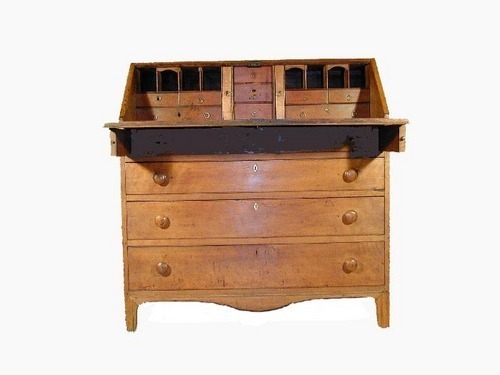 This walnut desk was used by abolitionist Fielding Johnson in Quindaro, Kansas. The word "Quindaro" is painted on the back of the desk. The town of Quindaro was settled by anti-slavery activists and was part of the Underground Railroad that helped move escaped slaves to freedom. Fielding Johnson, a merchant and agent to the Delaware Indians, was known to aid fugitive slaves.